Hi, I’m Autumn – Walk With Sally’s Volunteer Manager! In celebration of National Volunteer Month, I’m sharing all the ways you can volunteer with us and stay in the know about our upcoming opportunities. We like to find the perfect volunteer opportunities for you, so we take the time to get to know you, your interests and what you’re looking for. We promise that we have something for everyone! Here are some of the ways you can get involved – no need to limit yourself to just one area! Have you been impacted by cancer? Do you want to make a difference in a child’s life? By becoming a mentor you can empower a child and be their advocate by offering guidance and support. 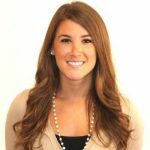 Learn more about our mentoring program and the process of becoming a mentor by clicking here! While meeting regularly to brainstorm and plan, our committees help bring our special events to life! We just kicked things off for our 2018 White Light White Night Committee which offers different areas of involvement. Fill out our WLWN 2018 Committee Interest Form to find out more! Sign up for a designated volunteer shift at one of our fundraisers or Mentor Program events to help make sure everything runs smoothly! Shifts vary from activity support at our Heart To Home art healing sessions to checking in attendees at our Friendship Activities. These shifts are a great way to be a part of the action and an opportunity to interact with the kids and mentors in our Mentor Program! 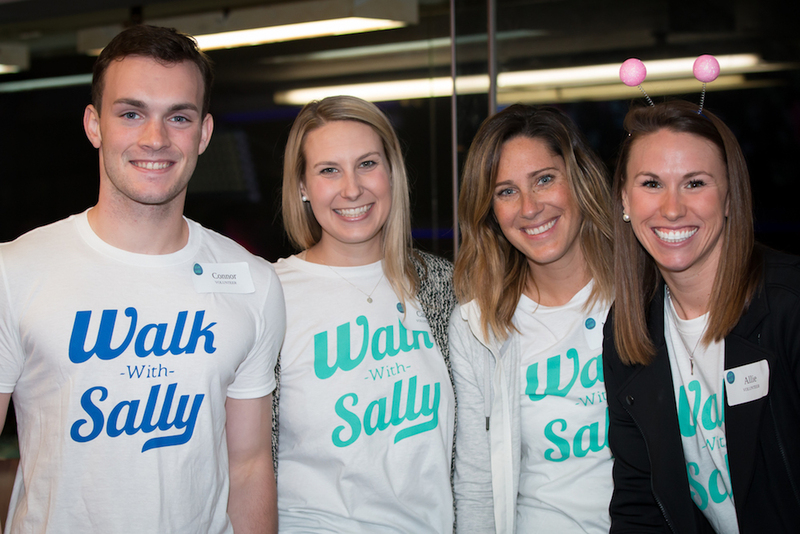 In support of Walk With Sally, FTK aims to inspire and network young professionals throughout Los Angeles while giving back, volunteering #ForTheKids and having a good time. We offer fun events every other month ranging from casual mixers to inspiring speaker series events. Our volunteer opportunities and events are not only a ton of fun, but they are also a great “no pressure” atmosphere; ideal for networking, forming lasting connections, and making new friends. Have some time on your hands during the week? Assist our staff in our El Segundo office with miscellaneous projects, making calls, doing email outreach and various other tasks. We’re happy to work with your schedule however our office is open Monday through Friday between 9am – 5pm. Love meeting new people? 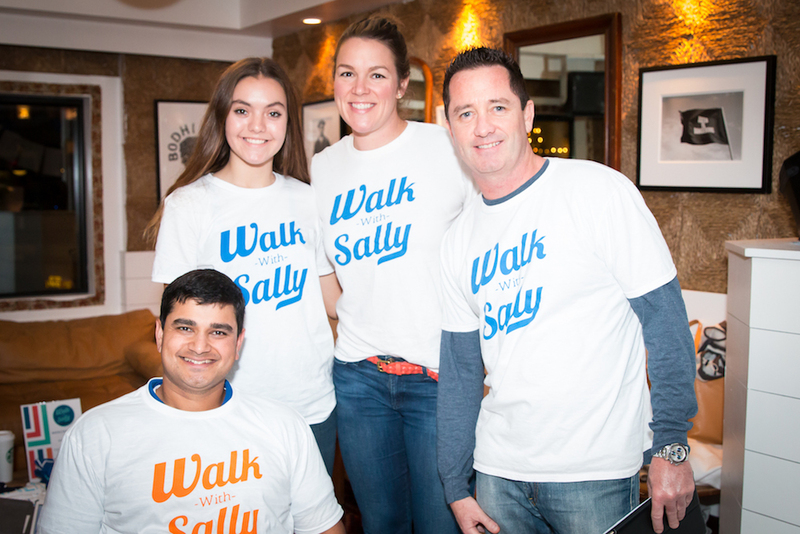 Want to help spread the word about Walk With Sally? As a WWS Ambassador, you will be networking and speaking with organizations, businesses and groups through Southern California about ways to connect and partner with us! Ready to sign up and volunteer? Let’s Chat! If you’re new to our volunteer program and want to get involved, please fill out our Volunteer Interest Form to let us know you’re interested! 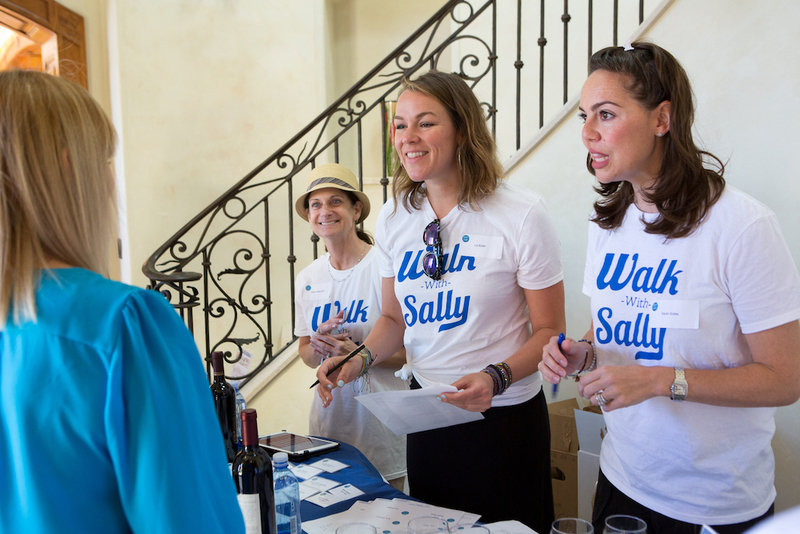 I will follow up with you to schedule a quick 15 minute call to determine the best Walk With Sally volunteer opportunities for you! Stay Connected! Our monthly Volunteer Corner emails will let you know exactly what upcoming volunteer shifts and needs are available. Simply respond to the email with your interest and I’ll make sure you’re signed up and given all of the information you need. Make sure you’re getting the latest info by signing up for our Volunteer Corner emails here! We’d love to have you join our volunteer community and hope to see you soon! This entry was posted in Volunteering and tagged Ambassador, committee, FTK, Mentor, special events, volunteer.